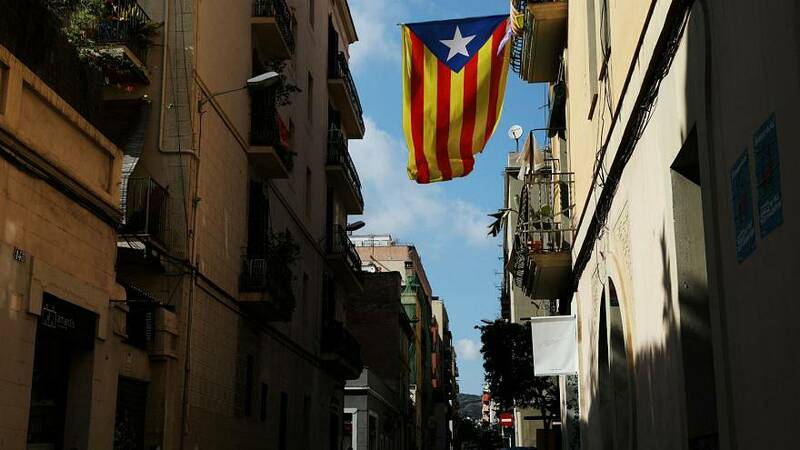 Is Catalonia looking to copy Slovenia’s path to independence? As Catalonia’s path to independence gets more complex, some pro-independence Catalans hope that Carles Puigdemont will take the Slovenian route to independence. In 1990, after obtaining absolute majority at the Slovenian parliament, Slovenian officials tried to negotiate their independence with Belgrade to no avail. As a result, Slovenia held a unilateral referendum, considered illegal by Yugoslavia, which it won. Slovenia then declared independence but immediately suspended it to buy more negotiating time with Belgrade. MeP for the pro-Independence Catalan European Democratic Party, Ramon Tremosa said Puigdemont should follow the Slovenian example because it would buy him negotiating time with Madrid and international recognition. “After six months of fruitless negotiations with Belgrade, Slovenia started to get international recognition,” Tremosa said in an interview with Onda Vasca. “The suspension of the unilateral declaration of independence would buy Puigdemont time to sit down with the Spanish government and negotiate an appropriate referendum,” said Tremosa. But what few may realize is that the Catalan leader has been preparing a Slovenia-style independence from the beginning. Puigdemont told the AFP that in 1991 he traveled to Slovenia to observe their independence process. And he already started following the Slovenian model by declaring Catalonian independence and immediately suspending it on October 10. But apart from holding an ‘illegal’ referendum like Slovenia, the two cases have more differences than similarities. The Slovenian independence referendum had a turnout of 93.2 percent and 95 percent of the electorate voted for independence. In Catalonia’s case, turnout for the referendum was 42.3 percent even if independence won by 90 percent. Unlike Catalonia, Slovenia was not a member of the European Union or NATO when it declared independence. As part of Spain, Catalonia is by default a member of the European Union, and throughout the Catalan crisis, Brussels has been firmly supporting Spain. Catalonia has not had much success in drawing support from EU institutions since they consider the Catalan crisis as an internal Spanish problem. In Slovenia, there is no evidence that the race to independence divided society, whereas Catalonia’s plight for independence has divided the region’s population. Separatists and unionists rallies have been taking place in Barcelona since the referendum was announced. "Cautious Puigdement pulled back from formal declaration"